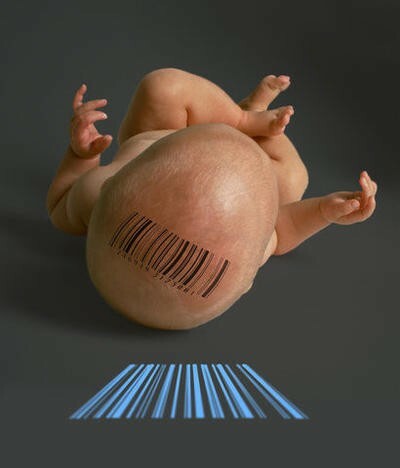 Should We Barcode Everyone At Birth? Well, why not? Citizens in modern nations already have government-issued IDs (photo IDs, driver’s licenses, etc). At least with a unified, formalized system, the one barcode ID could allow you to fly on a plane and buy alcohol, as well as identify you in an accident or emergency. And it would help law enforcement parse the populace. In war soldiers could easily differentiate legitimate targets in a population from non combatants. The whole point of the “60-second idea” is to ponder or propose an idea in a minute or less. That amount of time isn’t really enough time to flesh out a fully formed solution, only a concept. Perhaps the better question is: Are we actually headed there? And if so, would a system like this be more beneficial for people, or more dangerous, considering the likelihood of abuse by governments or elected officials? What say you?